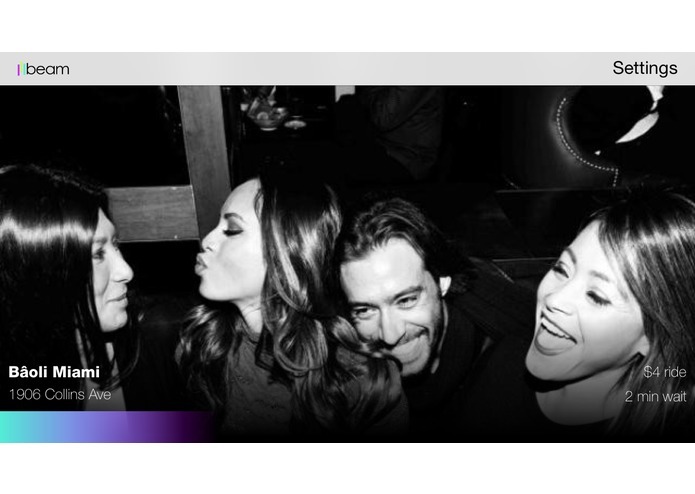 You're on the scene with friends. There are hundreds of bars, lounges, clubs and pools to choose from around the city and -- they're all very inexpensive and safe to get to using Uber. How do you get some insight into what's going on at each place before you go? 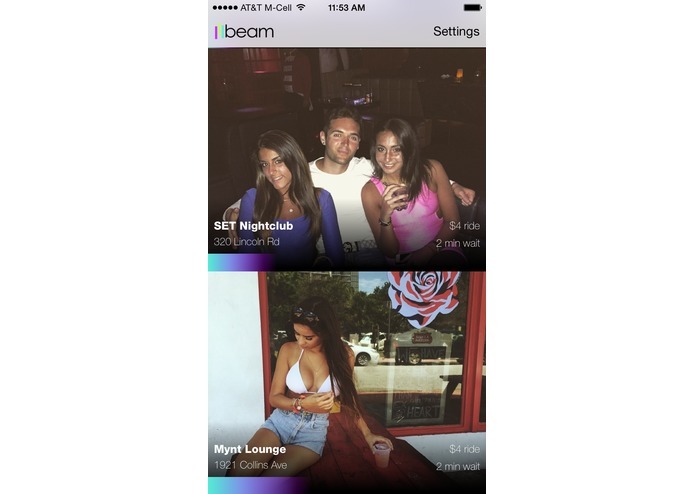 Beam scores bars, lounges, clubs and pools around you based on realtime Uber activity and realtime Instagram activity. A simple light beam appears on each venue. The stronger the beam, the more action and the more interesting the people are that are there! 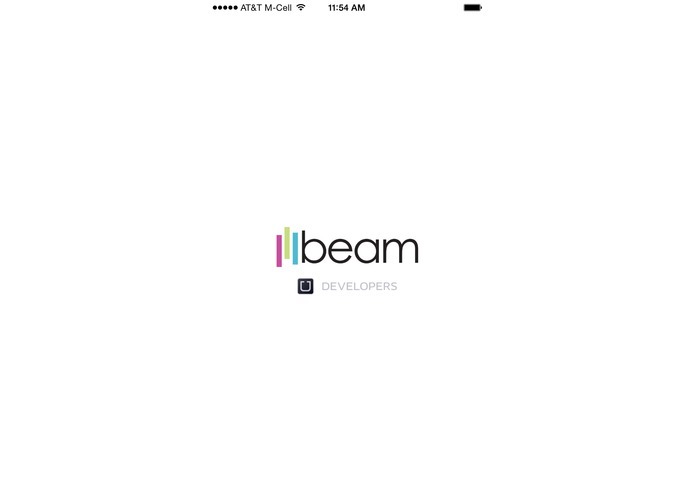 Scroll through realtime photos, tap to book an Uber. Have fun. 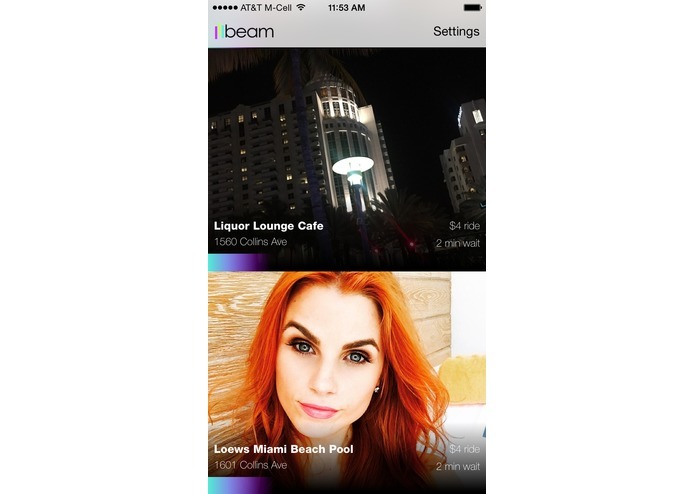 Beam around the city in a futuristic, safe and inexpensive way. Uses Uber "Request" endpoint to provide ride costs up front. Uses Uber realtime data to derive Uber traffic measurements around a venue, which we think strongly correlates to the realtime popularity of a bar, lounge, club or pool. Uses Instagram to socially characterize each person posting a geotagged photo from a venue, which gives a measurement of "who's who" inside. Combines all of this complicated stuff into a simple UI with a "no explanation necessary" beam rating.